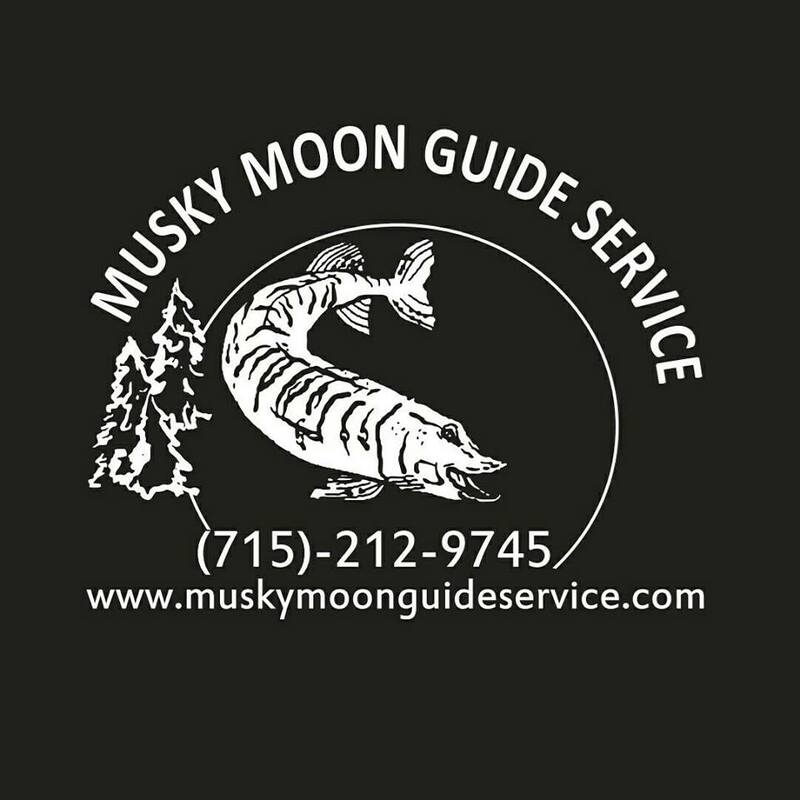 Wisconsin resident and fellow Suick Lure Company Pro Todd Schulz from Musky Moon Guide Service LLC is back on the site, and this time he writes about his way to target Muskies early season. 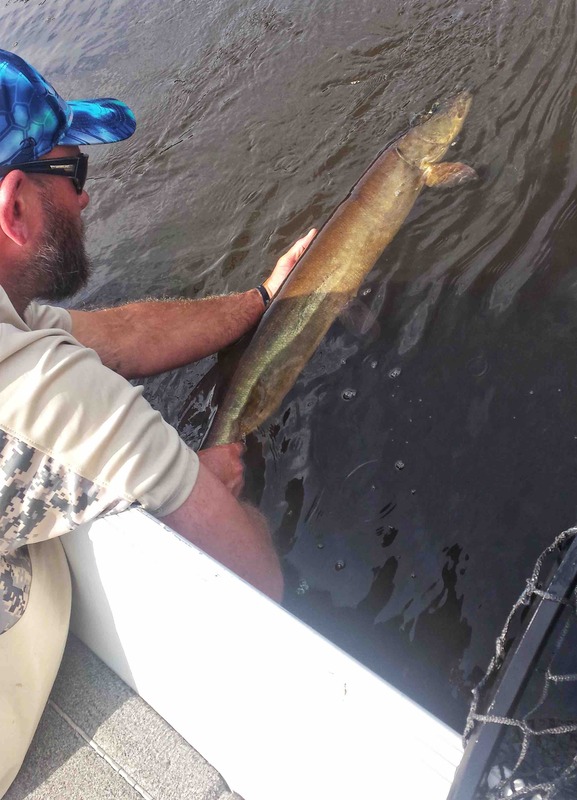 Right now many bodies of water are still covered with Ice, but after it all has melted down, that’s when the magic starts to happen, and anglers from all around the country start fishing for the illusive Esox during opening weekend! Up here in the Northern Muskie range, after all the ice melts off the lakes, most all of us are “chomping at the bit” to hit the water to chase the mighty Esox. As I write this article I have already read through my journal with all my notes from the past season and beyond, as well as researching lake maps. I know this sounds like a lot of work, but this is my way of staying ahead of the game for my clients. Old school? Maybe? Successful, YES! The early season can be frustrating for some, and rewarding for the rest. In this article, I will hit the basics with a few tips of mine that will make your early season a success! Late spring can be a bit tricky when it comes to weather and water temperatures but focusing on certain patterns can make or break your day on the water. 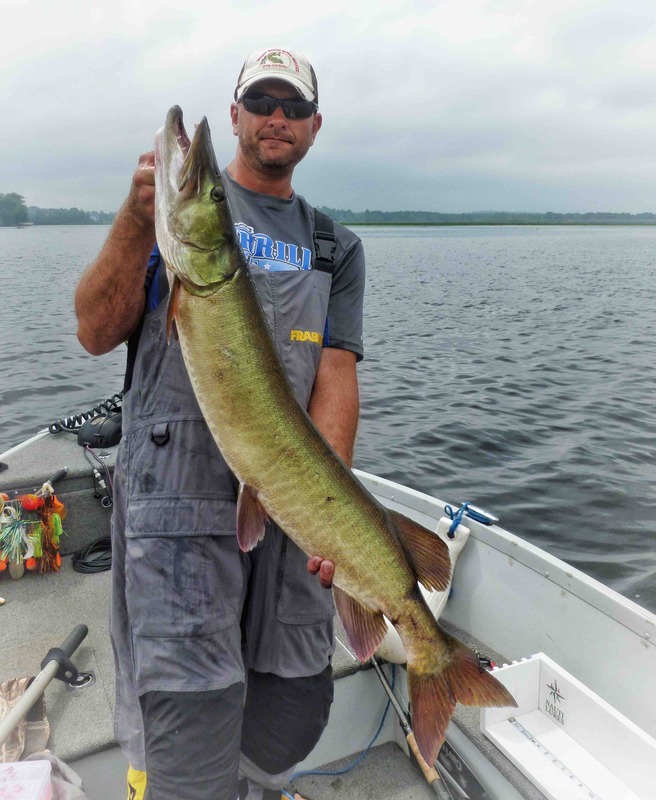 On average, when the season starts in Northern Wisconsin, the Muskies have finished or are at the tail end of spawning. 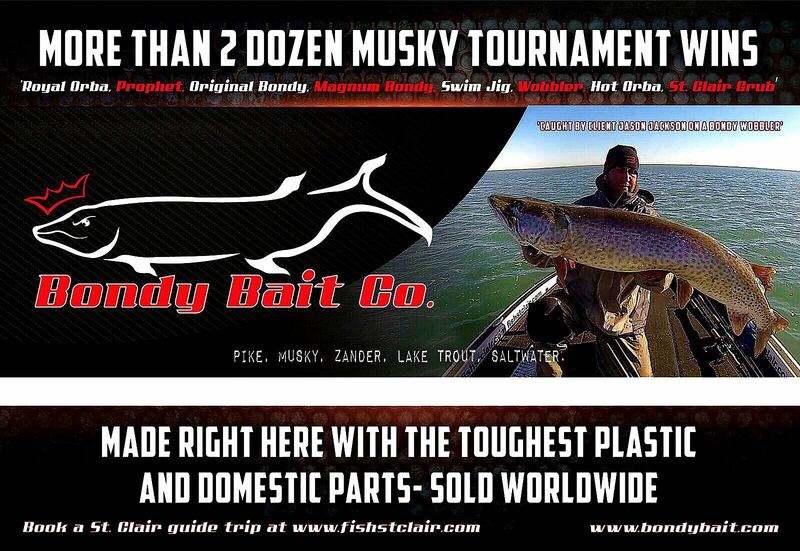 Focusing on the warmer water areas, north and northwest shorelines and bays that receive lots of sunshine throughout the day will hold baitfish to entice the Muskie. Now add sand or gravel bottom with some structure like wood or weeds and you will find them. I find that most of the action we get comes during the late morning into early evening, as the water temperatures are on the rise. 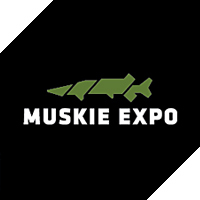 As little as half a degree rise in water temperature can make all the difference in the world to making muskies more active. The rise in water temperature allows the fish to metabolize their meals faster, making them more apt to feed. 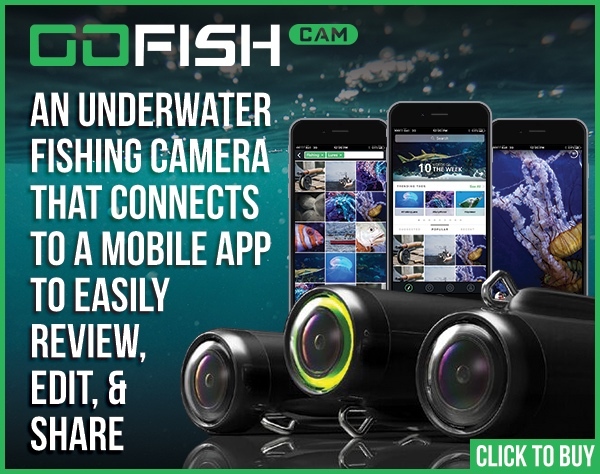 The main objective is finding “hot spot” target areas, fish the most sun-beaten areas of the body of water that you are fishing. Here are some examples of proper boat control: If you are targeting a shoreline that is anywhere from one to four feet of water, the boat should be positioned in about six to eight feet of water. Another example is, fishing across big shallow flats I will start out on a break line, working a zig-zag pattern while staying parallel to the main shoreline. Remember that Muskies can be found scattered anywhere amongst the shallow flats, especially when the area has good structure. 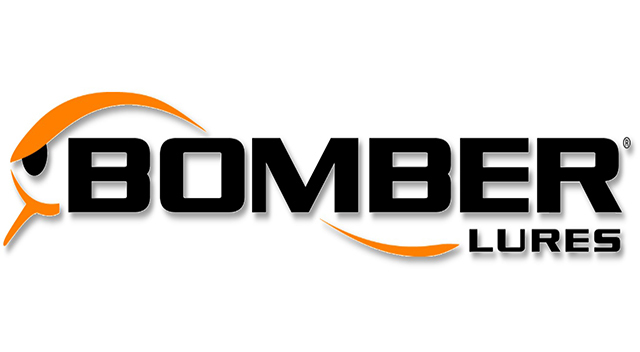 The main objective of boat control is to give yourself space and do not crowd the spots you are targeting. When it comes to my choice lures, I have a couple of favorites. 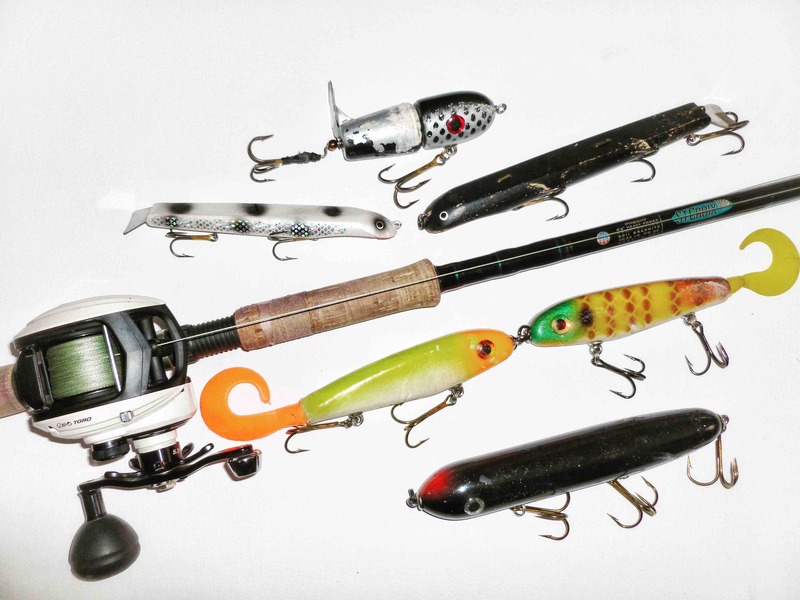 I like to run inline spinners such as the Nauti Lures, Mini, and The Thumper. 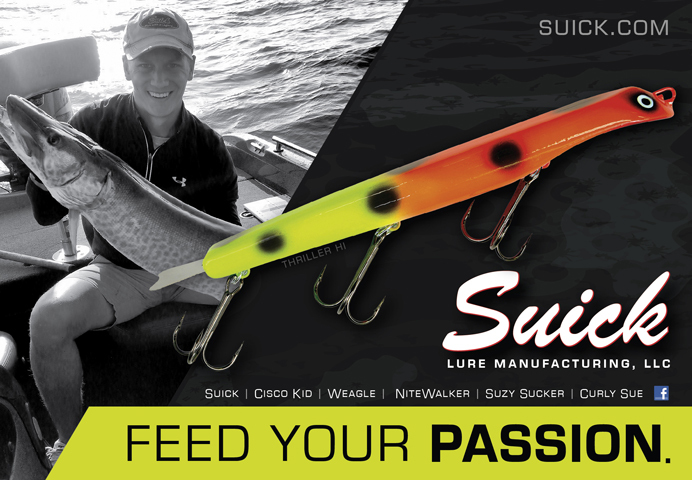 Both of these styles of baits have a great medium size to them, flash and vibration. Next, my glide and jerk baits I use are the 7” and 9” Suick Thrillers and 6” Phantom soft tail by Phantom Lures. The Phantoms, when working them I mix up my cadence and throw in a few pauses. When fishing Thrillers I also change up my retrieve, by mixing short and long pulls with a pause; to let the lure rise to just above the surface. Both of these styles of lures are deadly because of the multitude of ways they can be worked, and by all means and should never be overlooked. Lastly, the top water lures I run are the Nitewalker and the 5” Weagle. The Nitewalker with its compact design and perfect prop pitch makes this a favorite of mine all season long. 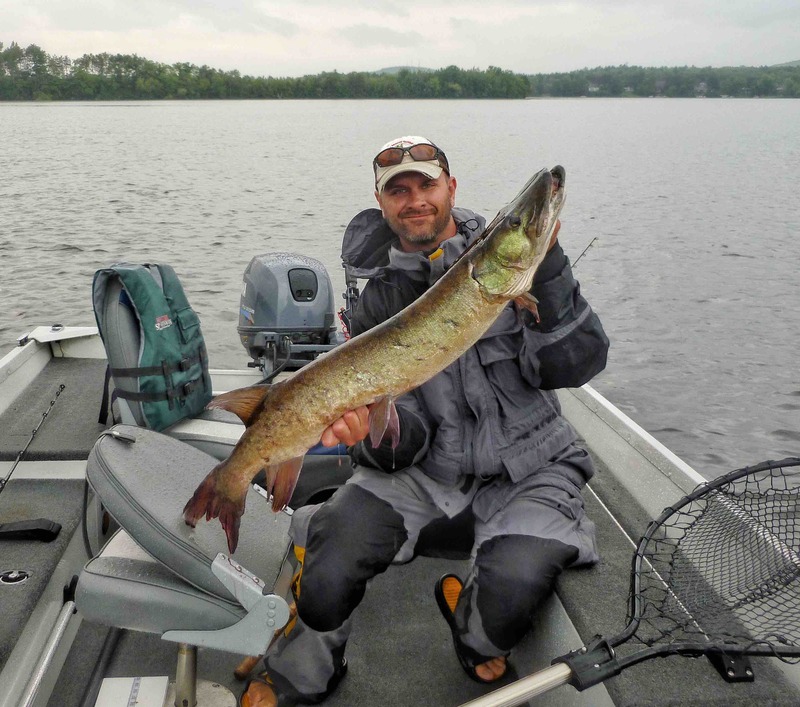 The 5” Weagle is just an all-around Muskie catching machine. This walk-the-dog top water moves water like no other. All the lures mentioned work extremely well with my St. Croix 8ft and 8’6ft, medium heavy and heavy, Premier and Legend Tournament rods. I outfit these St. Croix rods with Abu Garcia Revo Toro “S” in the 60 model reels. As far as line and leaders, I use 65 and 85 Power Pro line, and 100 pounds 130-pound fluorocarbon leaders by Stealth Tackle. I really hope this article helps you start the 2018 season out right and put more fish in your boat. Remember to slow down and pay attention to detail big or small, and you will have better results!